Kathryn “Judy” Conway, age 80 of New York, New York, formerly of Boone, died Sunday, August 12, 2018 at her sister’s home in Wilmette, Illinois. Funeral Mass will be held Thursday, August 16, 2018 at 10:30 a.m. at the Church of the Sacred Heart in Boone, Rev. Brian Hughes will be the Celebrant and Rev. John Halligan SJ will be the Con-Celebrant. Visitation will be Thursday from 9:30 a.m. until the time of the service at the church. Burial will be held at Sacred Heart Cemetery in Boone. Kathryn Julia (aka Judy) Conway was born December 12, 1937, in Boone, Iowa. She was the fourth of eight children born to Bill and Kaye (Dunn) Conway. 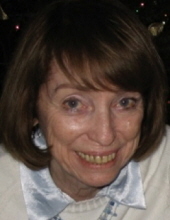 Judy attended Sacred Heart Grade School and High School, graduating in 1955. She attended Clarke College in Dubuque, Iowa and during her junior year of college, studied art in Vienna, Austria. She graduated from Clarke in 1959. After college, Judy worked as an artist for Hallmark cards in Kansas City until she joined the newly formed Peace Corps in 1961. She served as one of the original Peace Corps volunteers in Philippines for two years. In 1963, after Judy’s return to the states, she worked at the Social Development Commission in Milwaukee, Wisconsin where she remained until 1978 when she became a volunteer at The Working Boys’ Center in Quito, Ecuador, South America. Judy returned to the U.S. and became director of Joint Action in Community Service for NYC, Puerto Rico, and the Virgin Islands in 1985. Upon retirement, she spent months each year in Ecuador where she coordinated the short-term volunteer and summer visitors program. Judy was a talented and tireless worker who spent her life serving the disenfranchised families who are forgotten by so many. She was recognized with numerous awards throughout her life. She was a consummate family member, always delighting in time spent with siblings and her many nieces and nephews. Faith and family were top priorities for Judy whose long life of social justice was inspired and informed by her Catholic faith. The world was enriched by this very dedicated and dynamic woman. Judy is preceded in death by her parents, Bill & Kaye Conway, her brothers, Mickey, Duke, Larry and Tom. She is survived by her three sisters, Pat Parks, Sr. Miguel Conway, BVM and Mary Charles. A "Judy Conway Memorial Scholarship" has been established to support under-represented students who seek post-secondary education to realize their potential. Donations can be made to Target New Transitions Foundation, a tax-exempt 501.C.3, established to award scholarships to students in need. This foundation was established by Judy's sister Mary Lourdes and has awarded 13 scholarships in the last 2 years. Those wishing to honor Judy's life by support the scholarship can send donations to: Target New Transitions, 925 Columbus St. Wilmette, IL 60091. To send flowers or a remembrance gift to the family of Kathryn "Judy" Conway, please visit our Tribute Store. "Email Address" would like to share the life celebration of Kathryn "Judy" Conway. Click on the "link" to go to share a favorite memory or leave a condolence message for the family.